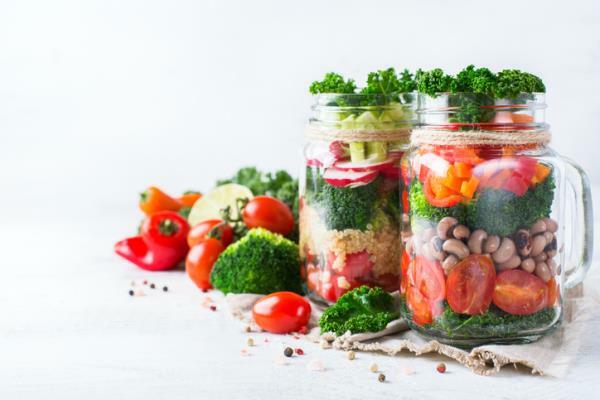 A colourful Mediterranean Diet, or a Rainbow Diet, can reduce the risk of post-menopausal breast cancer by 40 per cent, according to research by the World Cancer Research Fund. It was particularly effective at reducing non-estrogen positive breast cancers (ER-) like Triple Negative Breast Cancer and HER2+ Breast Cancer, which have been increasing and now account for a third of all newly diagnosed breast cancers. This was a very large study. 62,573 women between the ages of 55 and 69 were followed for 20 years and their diets closely recorded. As in previous studies (like the 15 year Harvard study of women also covered on this website), the women who stuck most closely to the Mediterranean diet had significantly lower levels of breast cancer. Professor Piet van den Brandt who led the Maastricht University team claimed that the research could help to shine a light on how dietary patterns can affect cancer risk. He added, “We found a strong link between the Mediterranean Diet and reduced estrogen-receptor negative breast cancer risk among postmenopausal women, even in a non-Mediterranean population. This type of breast cancer usually has a worse prognosis than other types of breast cancer".